What is EPUB File Format and Why is it Popular? 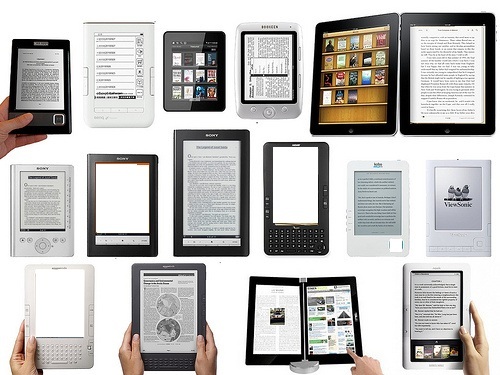 International Digital Publishing Forum (IDPF) brought an eBook format for electronic publication, to use on various devices such as smartphones, computers, e-readers and tablets. It became IDPF’s official standard in 2007, replacing the Open eBook standard from before. 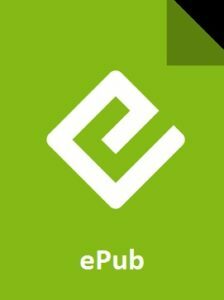 An EPUB file has an extension ‘epub’ and is free and open standard. EPUB is the most widely supported XML-based vendor-independent e-book format available. The largest number of hardware readers supports this file format. EPUB also finds use in many software readers like Google Books on Android and iBooks on iOS. 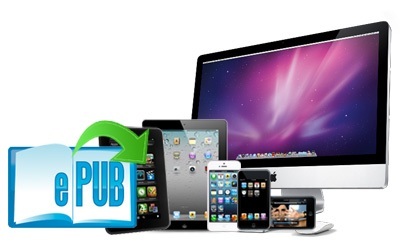 The EPUB file format has some notable features which have made it the most popular file format to be used. Documents are reflowable: EPUB supports reflowable documents, adjusting text for individual displays. These are electronic documents which adapt their display as per the screen display. For instance, text on your Nook reader is reflowable. Hence, when a sentence reaches the end of the space it flows on the page, it gets to the line after that. Similarly, for lines which flow over to the next page when there is no more space for them on the page. EPUB format is an alternative to PDF or PostScript formats like RTF, which is not reflowable. Supports Metadata: Similar to HTML web-site, EPUB file format supports metadata, CSS styling and inline raster and vector images. Allows DRM: It also allows for Digital Rights Management (DRM) system, but only as an optional layer. Epub can re-size and change the background colours and text too. EPUB can be download and read on smartphones, computers, tablets and e-readers. The EPUB format can be used on most of the platforms, and nearly all e-readers support this file format. The only exception is Amazon’s Kindle which has its original file format such as MOBI. All the major devices like Kobo reader, Barnes & Noble’s Nook, Sony Reader, Apple’s iBooks app iOS devices, BlackBerry devices, Google Books Android read ePub format. Also, iOS devices, BeBook, COOL-ER, Aldiko, CoolReader, Moon+Reader, Okular and other reading apps support it. Adobe Digital Editions uses the EPUB file format and provide DRM protection for its proprietary ADEPT mechanism. What is DRM and Why is it an Evil Necessity? When you are considering e-book conversion, you shall need to choose whether you want to apply DRM – Digital Rights Management to the e-book. So what is DRM? DRM schemes are various control methods governing the access and restricting the use of any proprietary hardware and also copyright works. The technologies hence, control the use, distribution and modification of copyright works including software as well as multimedia contents. So when people discuss e-book DRM, they are discussing the security concerning e-books, i.e., copyright protection. Most of the major e-book distributors, other than these three, use the Adobe DRM. An e-book with one type of DRM will not be opened with software that is using another DRM. So you will be unable to open a PDF which has Adobe DRM on a Kindle device. However, an author should keep in mind that once a DRM enabled e-book is published, the decision concerning the DRM cannot be reversed. A book which is available online on any of the stores such as Amazon, Barnes & Noble’s Nook, Apple’s iBookstore, Google Play and Kobo to name some, has DRM on it. Thus, the e-book is under copyright protection and its integrity saved with the DRM. There are many DRM solution providers which can be used to break the DRM on the e-book although it is not encouraged. But DRM is not universally accepted, and many are in favour of it. Just as locks are needed to safeguard personal property, supporters of DRM feel that it is a necessity. Specifically, to prevent the copy of intellectual property. They maintain that the presence of DRM schemes helps in continuous revenue streams. On the other hand, many oppose DRM arguing that there is no evidence to show that DRM helps to prevent copyright theft. Instead, they feel that DRM is not for basic customers and that large companies can check competition due to DRM. Besides, if the DRM scheme changes or the service discontinues, the work becomes permanently. The Free Software Foundation (FSF), in fact, considers DRM to be an anti-competitive practice. The most common format for using digital books is the EPUB. Apart from Amazon Kindle, most of the digital booksellers use the EPUB file format. If you are an avid reader, here are some tips on how to open EPUB files on various reader devices. One of the best software for opening any EPUB file in Windows and OS X is the Calibre. By a large library management features, it is a powerful tool which supports almost all the e-book file formats. Calibre also makes it easier to send books from the internet to any device. Download Calibre and install it on your device. Open the software. Click “Add Books” button on the top left. Select the EPUB file. You will see it on the white box in Calibre. Double-click the file to open the file and start reading. Once you enter the iBooks folder, you may find folders with .epub extension but not your file. But the folders are EPUB files. To get the complete EPUB file, you need to zip the folder and the name the extension as Epub. In case you are unable to find the library folder, you will need to make the hidden folder visible. Look for your EPUB file. Click on file. An error message will pop up saying that the Dropbox cannot open the file. Click on the “Share” button. This is the box which has an arrow pointing towards it. Then tap “Open in”. A menu will pop up. This will have an option to Open in iBooks. Tap it, and your EPUB file will open. You can also mail your Epub files as an attachment. Once you open the mail and click on the attachment, the file will download. Copy the Epub files to your device. Open the Universal Book Reader and click “Next” till you see the bookshelf. Tap “Yes” to import all eBooks. All the eBooks on your device will automatically show up on your app. Tap your e-book, and you are ready to start reading on your Android. Adobe sells Adobe Content Server technology to anyone who wants it. So, though the technology of DRM might be exclusive, it is widely used. DRM has become an unpopular system amongst both consumers and publishers. Locking e-books with DRM make their usage complex. DRM limits options for publishers who want to sell it directly or through niche outlets and hence also leads to difficulty in selling. If so many people are against DRM, why is it still in the market? DRM, which is intended to prevent the unauthorised access to e-books or copying of the same, is a necessary evil. Behind the using of DRM is the genuine concern of many authors and publishers that e-books also would fall prey to piracy and suffer the same fate as that of music and other digital media. DRM, in fact, argue many, protects the e-books against copying. So it is an extra layer of protection which a publisher adds to prevent the unauthorised sharing of any copyrighted work. 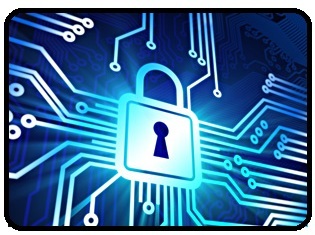 The most common systems of DRM use special codes to encrypt the e-books. Unless one has the key and the correct software to encrypt a DRM-enabled file, it is difficult and even impossible to open it. Why is EPUB the Best Format For E-Books? 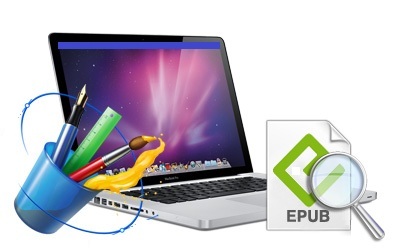 EPUB was designed by the International Digital Publishing Forum (IDPF). This file format has become one of the most popularly used formats and not without reason. Users can download the file format and read on smartphones, computers, tablets and e-readers. It can be open on most of the popular e-book reader devices, including Apple’s iBooks, Aldiko on Android, Barnes & Noble’s Nook and Adobe Digital Editions, etc. They support the .epub files and use the EPUB file format for its e-books. The only exception is Amazon’s Kindle. Though there are specific rules for using the EPUB file format, it is an open standard. This means that ePub is free and available publicly. The most advantageous feature of an EPUB format is that it allows reflowable document allowing for easy readability of documents on e-reader devices. It is not surprising then that EPUB has increasingly gained acceptance as the standard e-book file format. All the major e-book readers support this file format, and with its text-resizing features, which are so essential during electronic-reading, EPUB remains the best format for e-books.